Discover Jasper National Park’s spectacular Maligne Valley on a 6-hour adventure with an expert guide. 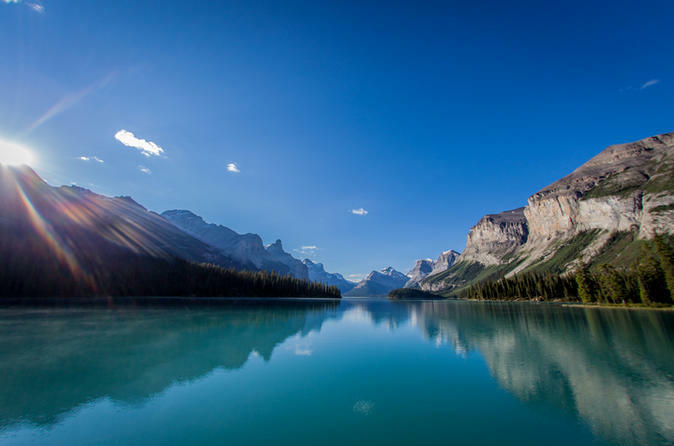 During stops at Maligne Canyon, Medicine Lake and Maligne Lake, you’ll look for wildlife and learn about the human and natural history in this part of the Canadian Rockies. You’ll see stunning scenery throughout the day and have plenty of opportunities to take photos and short walks. 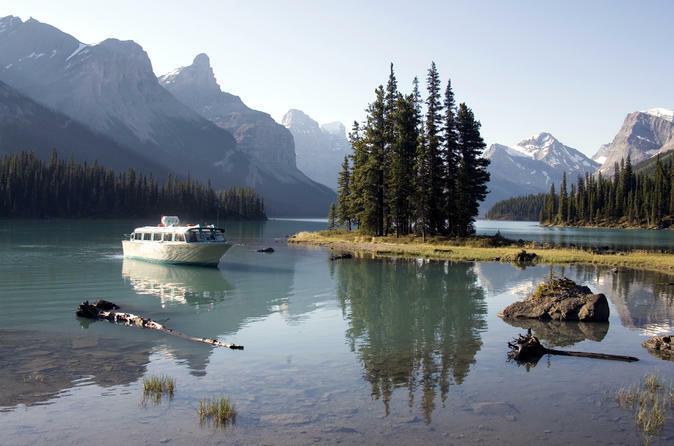 At Maligne Lake, choose to take a boat cruise to Spirit Island or a guided hike along the lakeshore. 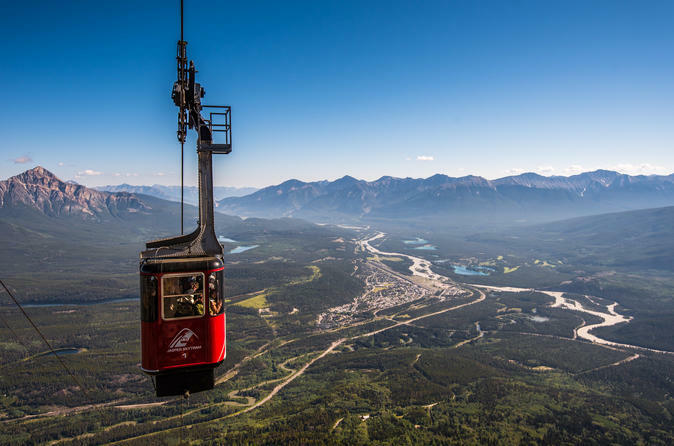 Experience the beauty of being gently transported into Jasper National Park's alpine tundra aboard the Jasper SkyTram. The ride will captivate people of all ages and is merely the beginning of an experience the whole family will cherish. 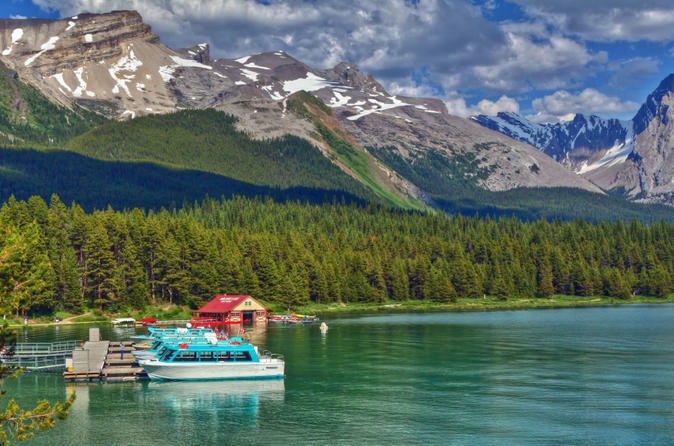 Cruise the largest glacially fed lake in the Canadian Rockies on this 90-minute, award winning interpretive tour in Jasper National Park. 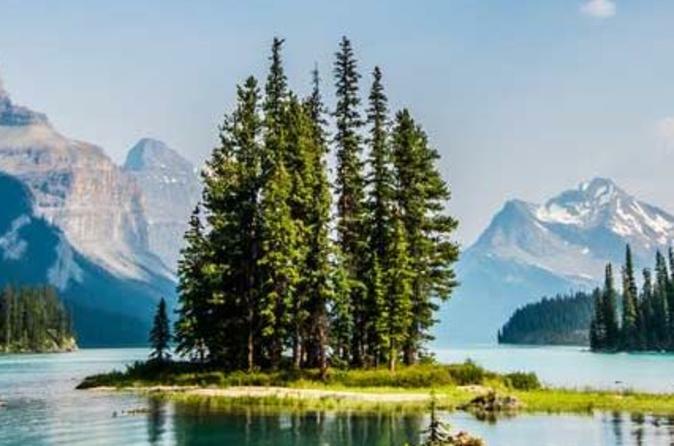 Visit world-famous Spirit Island, the crown jewel of the Park, and experience views from one of the most photographed locations in the entire Rocky Mountains. When you are finished, stop for tea at the historic Maligne Lodge or relax along the shore for incredible views of the mountains ringing the lake. 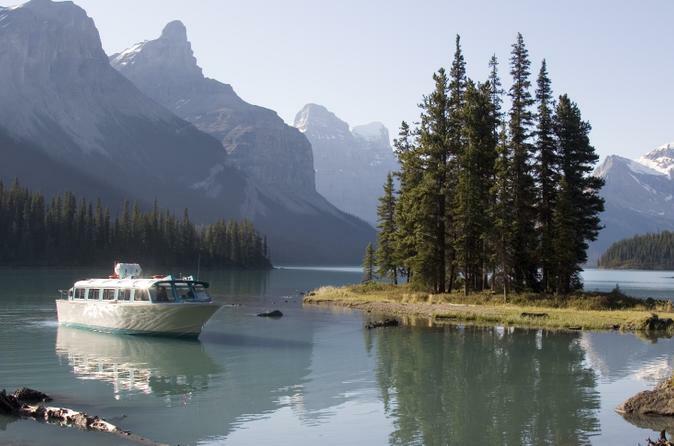 Soak in amazing views of the Canadian Rockies on this relaxing cruise on Jasper’s Maligne Lake. Land on iconic Spirit Island for an unforgettable nature walk and learn about the region’s history, geology and wildlife from your knowledgeable guide. 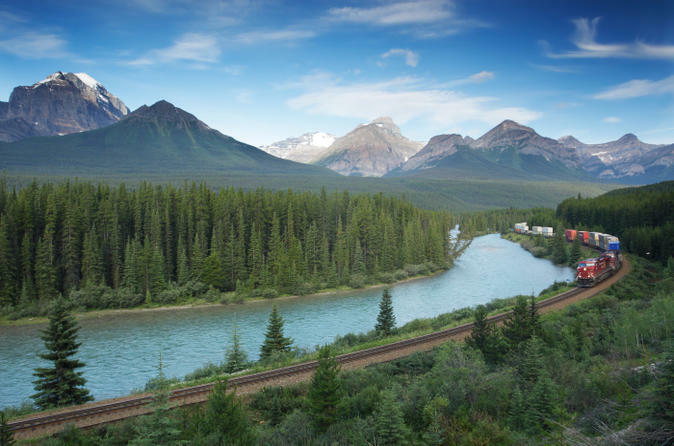 Ride the rails over the Yellowhead Pass, the border between Alberta and British Columbia, following the Fraser River, and past Mount Robson, the highest mountain in the Canadian Rockies. The van tour includes stops for wildlife, points of interest including the Mt. Robson Information Centre. Depending on the time of year, this can be an excellent tour for seeing bear, moose, eagles, salmon, deer, elk and coyotes. Be captivated by the Columbia Icefields view Glacier-fed rivers and streams, majestic peaks, peaceful lakes and broad-reaching valleys combine to create not only a harmonious blend of scenic wonders for you, but also a protected habitat for Canadian Rockies wildlife. Return to Jasper late in the afternoon, and reminisce about today's alpine experience! Admire Jasper National Park’s spectacular beauty from the illuminating and exciting Glacier Skywalk. 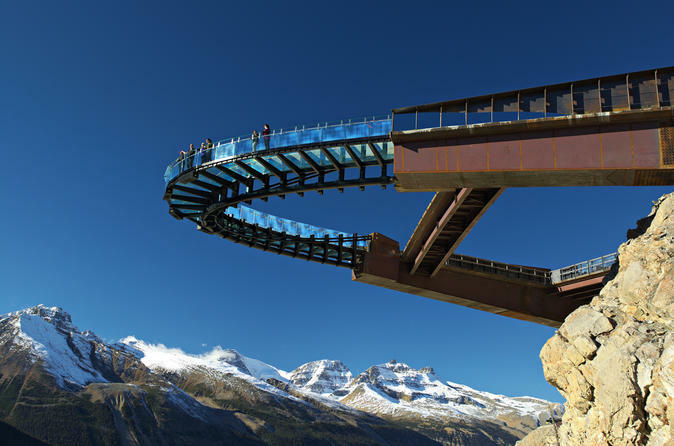 A 1,312-foot-long (400-meter) walkway that extends nearly 100 feet (30 meters) into Sunwapta Valley, the Glacier Skywalk provides unobstructed views of Alberta’s mountain peaks and glacier-formed valleys. The observation platform at the end of the walkway puts you almost 1,000 feet above the valley floor, with a glass bottom to give you an extra thrilling experience. 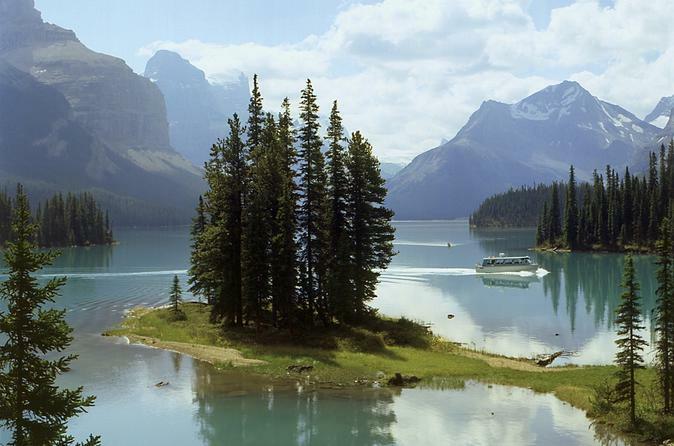 Enjoy a four-hour tour encompassing the Maligne Canyon, Medicine Lake and Maligne Lake. Breathe in the fresh Canadian air, in the spectacular Rocky Mountains! See the Maligne Canyon's narrow gorge and limestone walls, which fall a fifty meter drop, and marvel at the beauty and history of Jasper, set amid rugged alpine terrain! 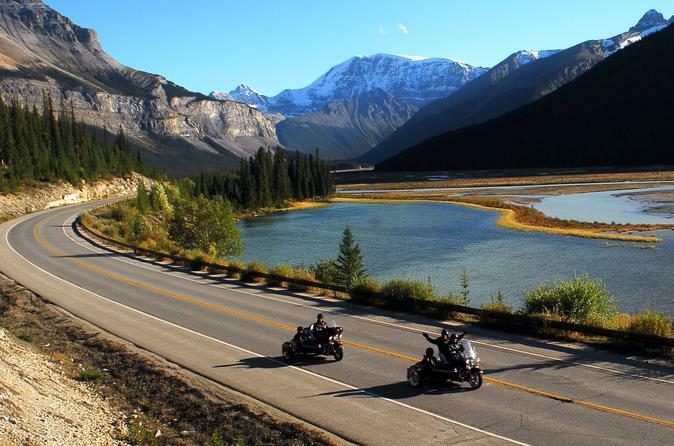 Tour the scenic roads of the Canadian Rockies and Jasper National Park on a Harley Davidson motorcycle with sidecar, driven by a professional. 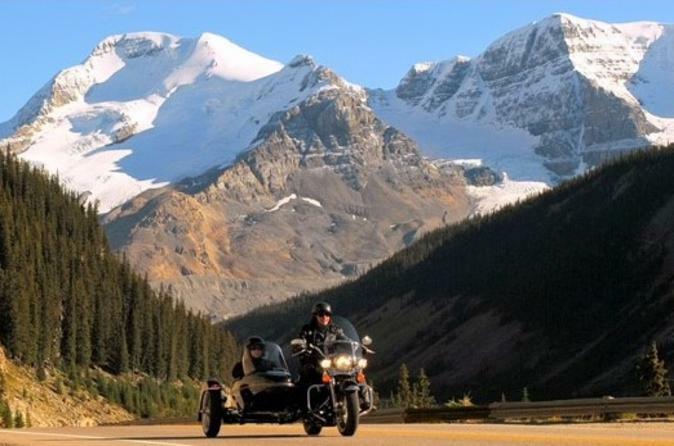 Ride to your choice of destination, be it Athabasca Falls, Maligne Canyon, Maligne Lake, Medicine Lake, Mount Edith Cavell, Angel Glacier, or Miette Hot Springs. 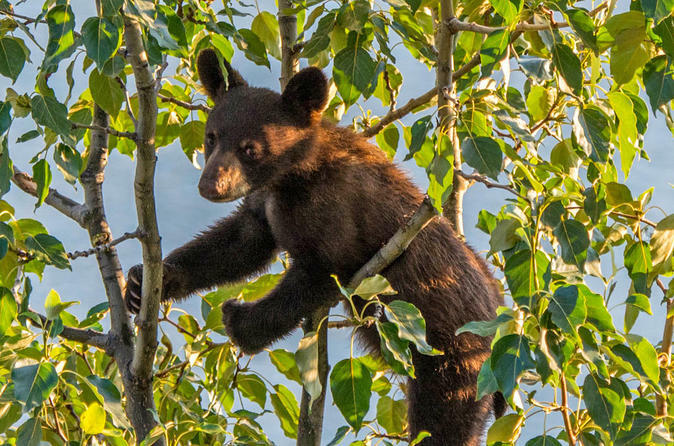 You’ll breathe in fresh mountain air and look for wildlife while your expert guide shares information about Jasper’s history and abundant natural wonders. This open-air ride gives you an experience of the Canadian Rockies that you can’t get any other way! This one-way tour from Banff to Jasper takes you through some of the most spectacular mountain landscapes in North America. Following the spine of the Canadian Rockies, view a never-ending procession of mammoth mountains, jagged snowy peaks, and numerous glaciers. 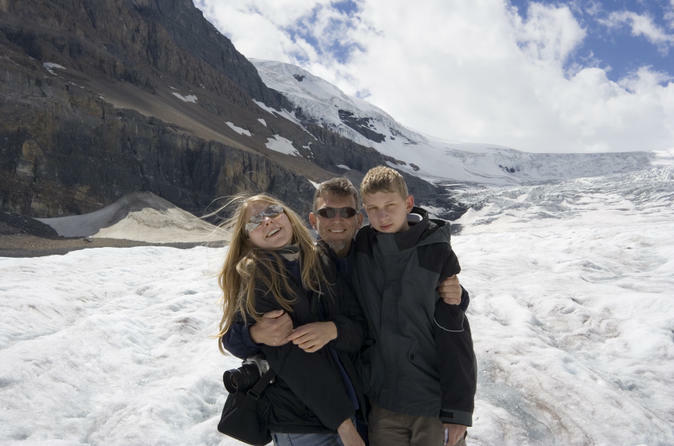 Picnic lunch, Glacier Sky Walk and Glacier Adventure are all included at the Columbia Icefield. 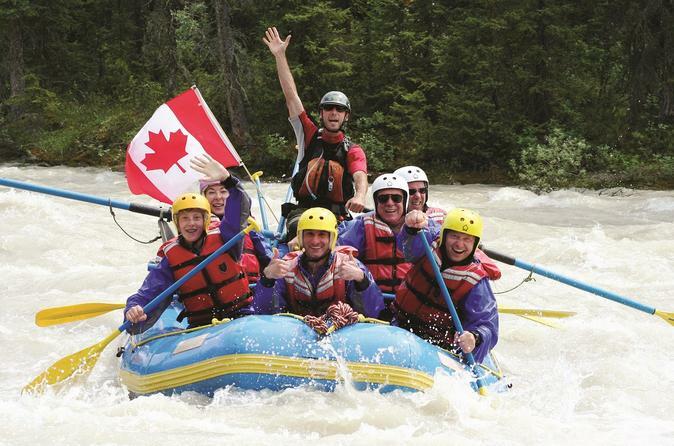 Take an exhilarating ride down Jasper's mighty Fraser River on this whitewater rafting adventure. 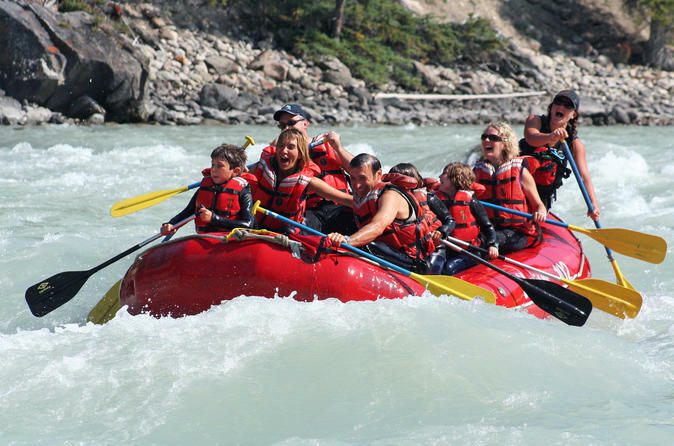 You'll have a heart-pumping time rafting down Class-3 rapids surrounded by awe-inspiring Canadian Rockies scenery. Keep an eye out for wildlife and seasonal spawning salmon! Coyotes and wolves and bears, oh my! See the stunning natural beauty outside of Jasper with this educational and entertaining guided winter wildlife tour. Hop in the comfortable van and don’t forget your camera to capture the wildlife and scenic beauty of the Athabasca Valley, Maligne Valley and Medicine Lake. Learn about the history and geology of the area from the expert local guide, as the van gently rolls through the incredible nature. This is a must for nature lovers. The Athabasca River Canyon Run starts at the base of the Athabasca Falls. Raft 15 kilometers down the majestic Athabasca Valley in Jasper National Park. This 3-hour round trip provides spectacular canyon scenery that combined with moderate rapids make this an adventure ideal for the whole family. All trips are in 8 person guided rafts. 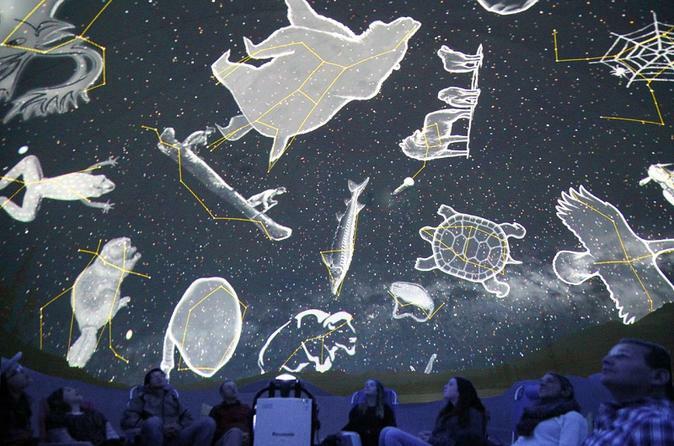 Enter a state-of-the-art 35-seat domed theater and tour the world’s largest accessible dark sky preserve. Under the dome, spectacular skies are guaranteed. Then join a live guided tour of the largest, most powerful telescope in the Rockies. Learn how telescopes work, how to pick the right one for you, and take a look at the latest archived imagery from the telescopes in Jasper. Workshop how to photograph the sky with your DSLR camera, and if there are clear skies, live views through the telescopes outdoors, next to the planetarium. 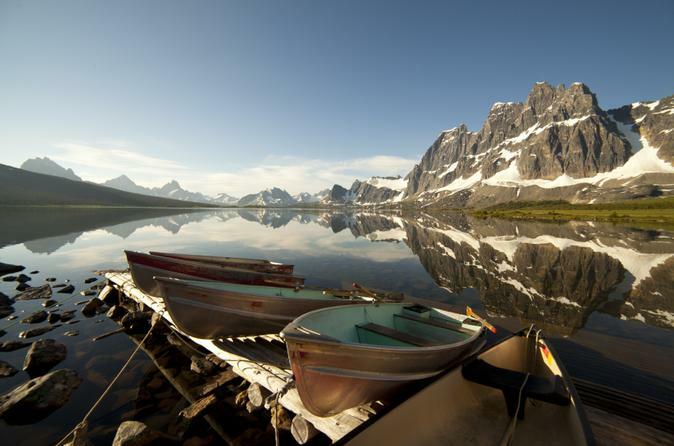 The Pyramid Lake Canoe Adventure is an excellent way to start or finish your day in Jasper National Park. 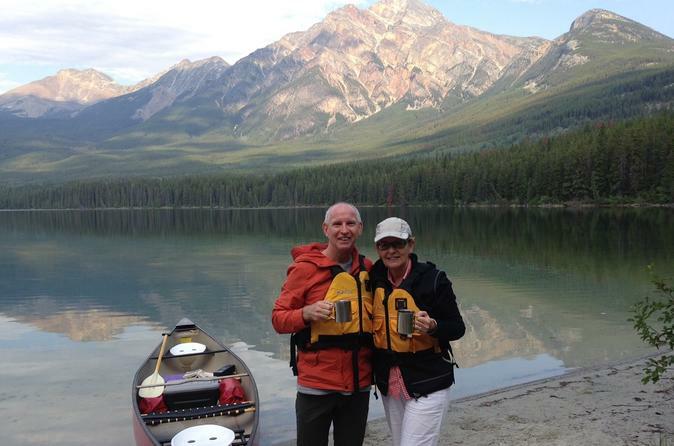 Join a private, unique canoe adventure for couples, friends and families, and be blown away by the numerous snowcapped peaks and the chance to see the wildlife that call the area home. Keep an eye out for osprey, loons, muskrat and beaver. 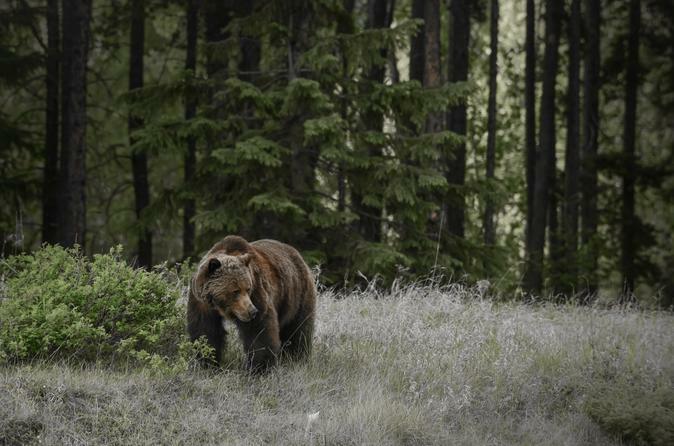 Fingers-crossed, you may even see moose, bear, elk, deer and wolves! 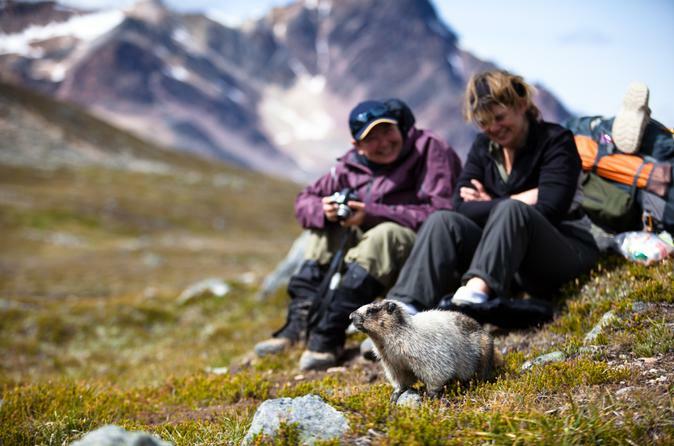 A small, personalized group size makes this evening wildlife discovery tour in Jasper National Park an exciting visual and educational experience for everyone. Your guide is trained to seek out all of the park’s most iconic creatures. 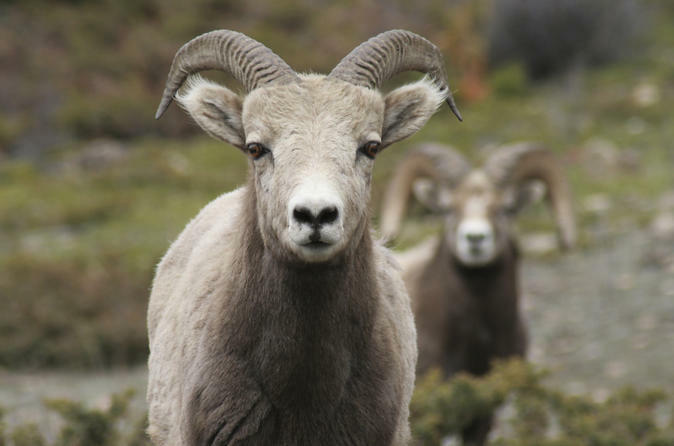 Big or small, there are lots of animals to see in Jasper! Elk, deer, big-horned sheep, mountain goats, foxes, coyotes, wolves and moose are just a sample of Jasper’s many wild mountain animals. This one-way tour from Jasper to Banff is the ultimate way to experience the biggest and best the Canadian Rockies has to offer. Your journey to Banff will take you past sweeping glaciers, immense waterfalls and shimmering mountain lakes. Time will be provided at the Columbia Ice Fields to participate in the Glacier Adventure and Glacier SkyWalk which are both included along with a picnic lunch. 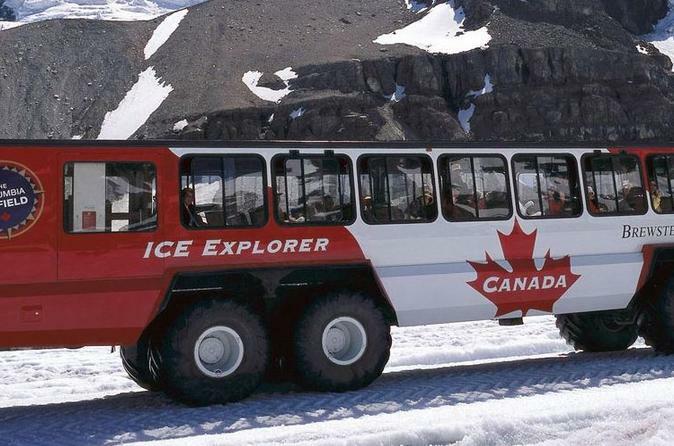 Visit the Athabasca Glacier on a massive ice explorer on this 3-hour excursion from Banff. Walk along the frozen sheet of ice and fill your water bottle with pure snowmelt, then venture out along the glass bottomed Glacier Skywalk for incredible views along the cliff's edge. See two amazing attractions outside of Banff in one fun-filled adventure. 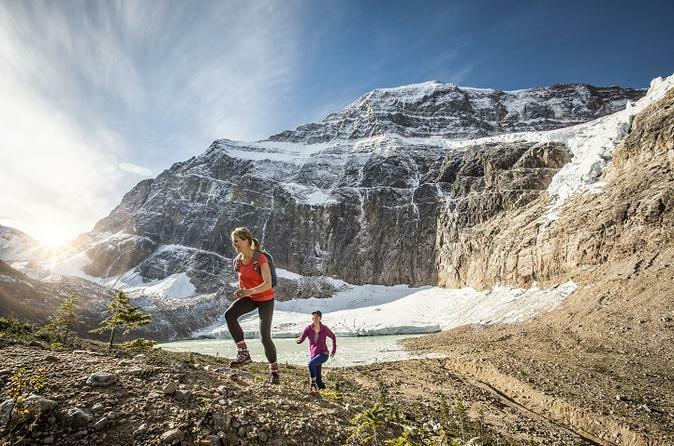 This 3.5-hour hiking tour follows the “Path of the Glacier” trail though one of Jasper’s most stunning landscapes to the majesty of Mount Edith Cavell. 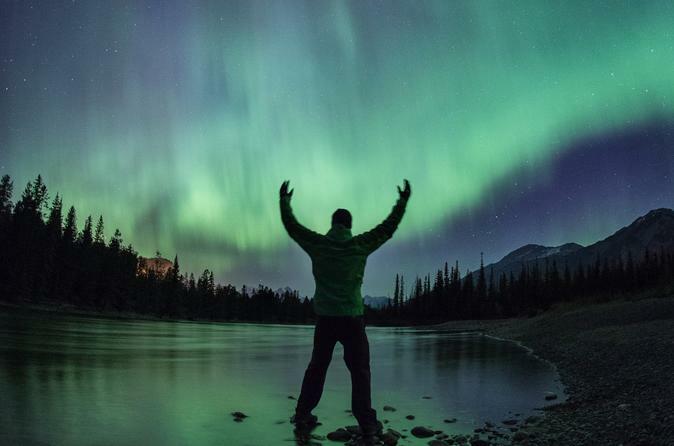 You'll embark on one of the most spectacular adventures and this should not be missed by anyone visiting Jasper National Park! The Sunwapta River is the only grade 3 whitewater offered in Jasper National Park. The river is glacial fed and is great for first time rafters if you are looking to paddle hard, get soaked and have a lot of fun! The river trip itself begins with a float where crews can practice their paddling technique before the show begins. Once the rapids star,t they just build and build until the Whopper soaks everyone just before the take out. All trips are in 6 person-guided rafts and all the necessary equipment is provided. Join the fun on the Athabasca River for a unique perspective of Jasper National Park. The 16-kilometre, 2.5-hour round trip passes through many small sets of rapids and calm stretches, which allows your National Park licensed guide to point out the natural and human history of Jasper. This float trip is safe for the whole family, from toddlers and grandparents to swimmers and non-swimmers alike. Rivers are rated on a scale of one to six. Class 1 is considered to be calm moving water while a class 6 would be equivalent to Niagara Falls. The section of the Athabasca River that this tour rafts on is rated a Class 2; meaning that there are some sections with rapids, which may get your backside wet. This incredible one-way journey from Lake Louise to Jasper takes you through some of the most amazing mountain landscapes Canada has to offer. Admire a never-ending procession of towering mountains, rugged snowy peaks and glaciers as you travel along the edge of the Canadian Rockies, making several sightseeing stops along the way. Stops along this beautiful highway will include Lake Louise, Crowfoot Glacier, Bow Lake, the Columbia Icefield, the Weeping Wall and Athabasca Falls. Picnic lunch and admission to both the Glacier Adventure Tour and Glacier Skywalk experience at the Columbia Icefield are included. Join an interpretive guide for an unforgettable 5-hours exploring the wilderness around Jasper as well as the starry heavens above. Seek out all of the park’s most iconic creatures. Explore the heavens above through a fish-eye lens in a state-of-the art planetarium facility at the Marmot Lodge where you will join a professional astronomer for an interactive cosmic journey. After completing the indoor planetarium program, you have the opportunity to gaze through the largest telescope in the Rockies and see planets, stars, galaxies and more. Take the Sunwapta challenge on Jasper’s wild whitewater rollercoaster ride. 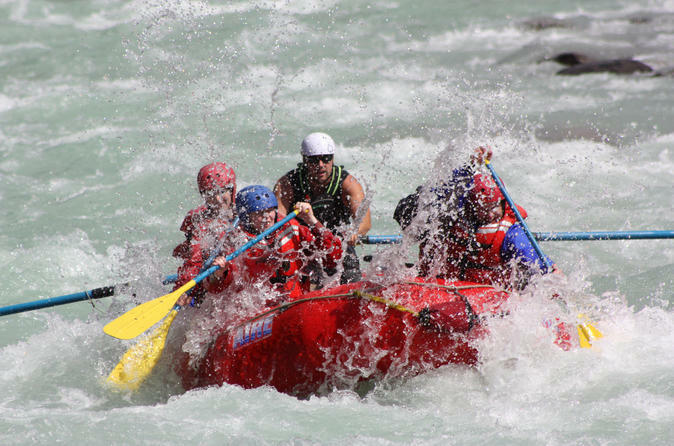 With a steep gradient and numerous rapids, this 4-hour round trip is the only Class 3 rapids located fully within Jasper National Park. It offers spectacular scenery and good wildlife opportunities. Don’t miss the high water mid-June to late July! 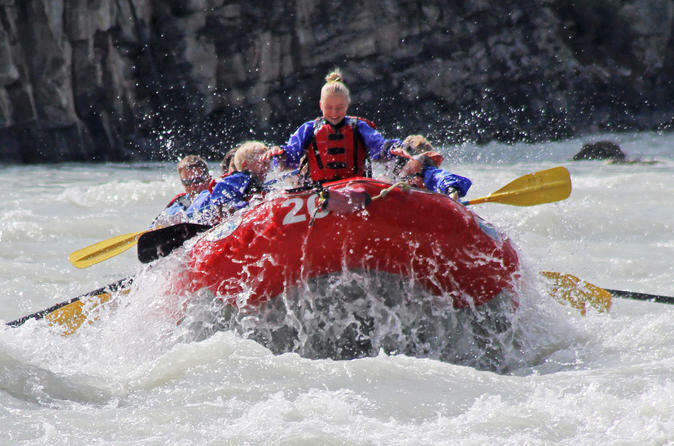 Create lasting memories on the white water rivers of Jasper on this 3-hour Athabasca River Canyon Run. 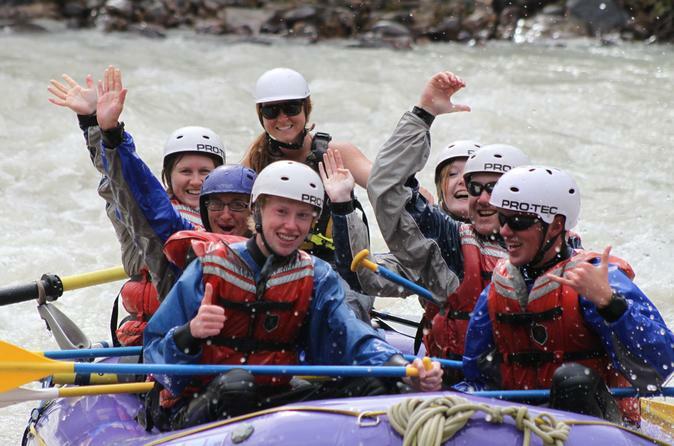 Your guides are trained and committed to sharing incredible white water rafting experiences with you and your family. The magnificent scenery of the Canadian Rockies and Jasper National Park surrounds you while you raft. Look for wildlife along the river banks or simply enjoy the lively white water rapids. 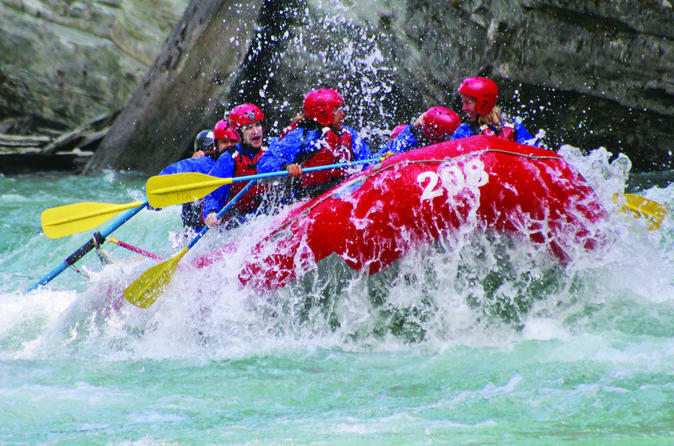 Experience a thrilling 3.5-hour round trip whitewater rafting adventure. This is Jasper's only class III+ with the shortest commute and unquestionably the best whitewater in the area! The Sunwapta River lives up to its Stoney Indian name of 'Turbulent Water'. 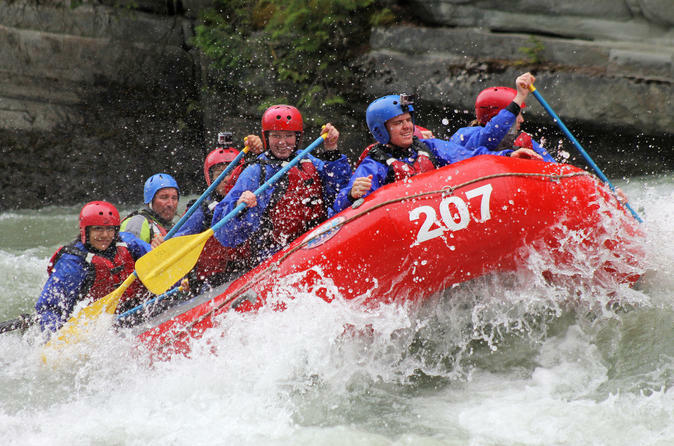 It offers an exciting combination of fast, fun rapids, incredible scenery and abundant wildlife. The Sunwapta river is perfect for the adventurous beginner and minors over 40 kilos (90lbs). 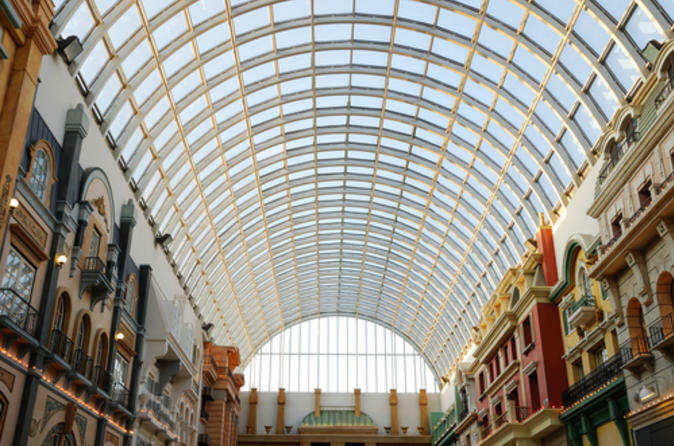 Take a day trip from Jasper to Edmonton, home to the largest shopping mall in North America! Enjoy comfortable, convenient round-trip transportation by air-conditioned vehicle and spend four hours browsing more than 800 stores, enjoying a yummy meal and spending time with the kids at the amusement park and water park. Experience one of the most scenic drives in the world on this guided, full-day tour to the Athabasca Glacier in the Canadian Rockies. Venture from Jasper, Alberta, Canada, down the Icefields Parkway to the famous Columbia Ice Fields. 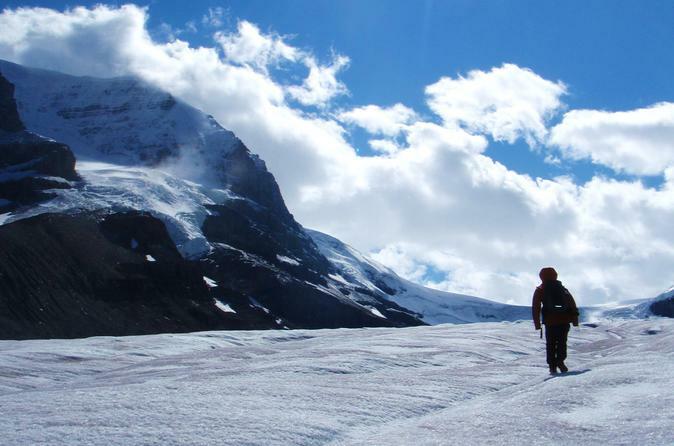 From there, step onto the breathtaking Athabasca Glacier. Walk through snow and ice while the experienced guide navigates crevasses so travelers may explore the glacier and ice caves safely. No experience is necessary. All gear and transportation is provided. This one-way tour from Jasper to Lake Louise is the ultimate way to experience the biggest and best the Canadian Rockies has to offer! Your journey takes you past sweeping glaciers, immense waterfalls and shimmering mountain lakes. Your driver/guide will share stories and explain the geographical and historical significance of the region as you travel the famous Icefields Parkway. Enjoy a picnic lunch and admission to both the Glacier Adventure Tour and Glacier SkyWalk Tour at the Columbia Icefields. Don't forget your camera, as views and wildlife abound on this personalized small-group tour. Explore a series of ice-age old glaciers that form the Icefields Parkway in a chauffeured sidecar ride. When traveled by motorcycle, the thrill is immeasurable compared to the experience in an enclosed vehicle. It feels as if you have become a part of the Canadian Rockies. Partway through this thrilling ride, take off in a helicopter flight that includes a scenic stop for a champagne toast, then head back for more thrills in the sidecar. Stay in constant awe from the views on this tour and see why the Icefields Parkway has been awarded as one of the greatest drives in the world. This day is truly like nothing you have ever experienced before. 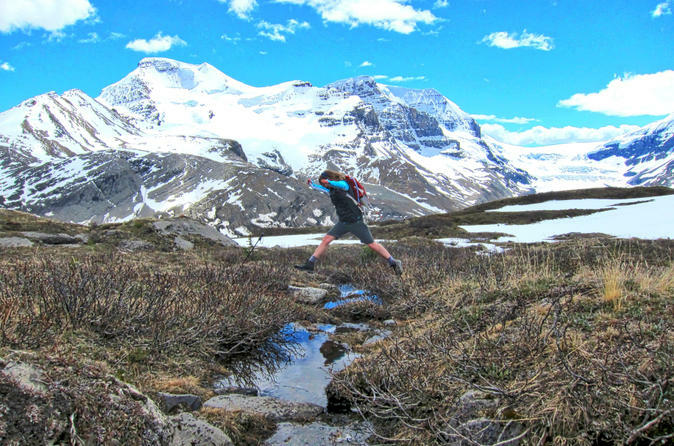 Experience Jasper's Athabasca River Mile 5 run! Enjoy the beautiful mountain scenery on this 2-hour round trip adventure. 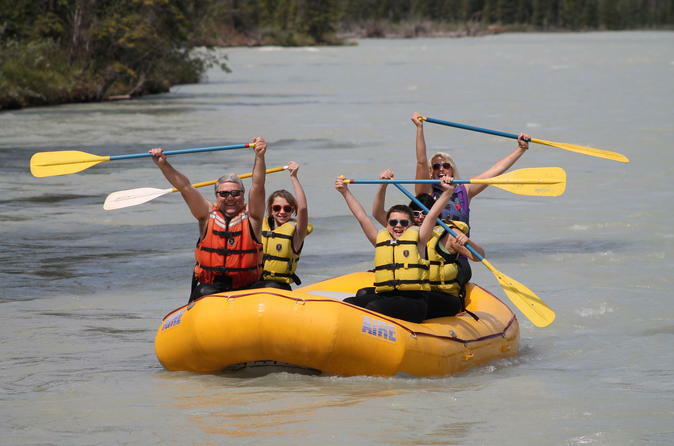 The Athabasca River Mile 5 run is a perfect introduction to white water rafting and a must-do family adventure in Jasper! By driving your own vehicle to the river put-in location, you will not only experience the best Class 3+ whitewater in the Jasper area but will also have the flexibility to spend the rest of your day exploring the majestic Mount Robson area at your leisure. 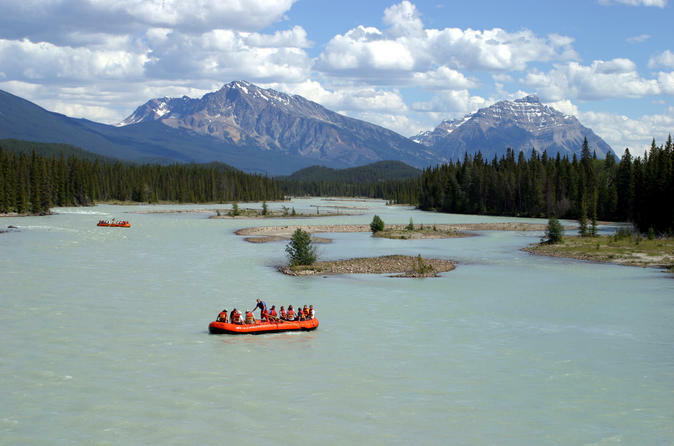 This trip offers an exhilarating ride through the turbulent rapids of the 'Mighty Fraser' while surrounded by awe-inspiring Canadian Rockies views. 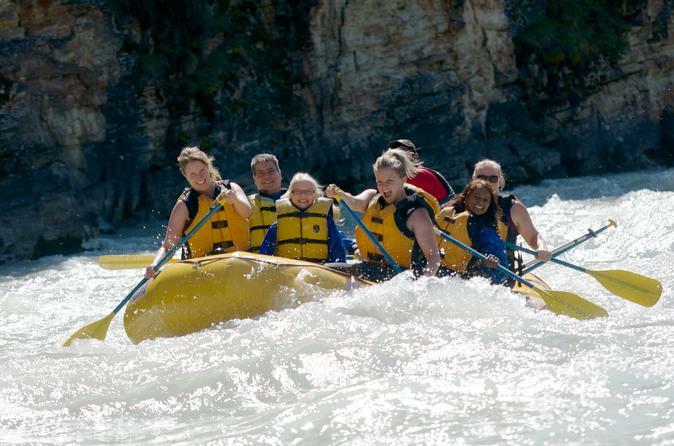 From novice to age ninety, no experience is necessary on this Class 2 whitewater adventure. You will raft along a wide, 5-mile section of the Athabasca River, aptly named the Expressway. The river winds its way through the incredibly scenic valley, surrounded by rocky mountains and old-growth pine forests. The calm, flowing stretches are peppered with small but splashing rapids making it the ideal river for families with young children. This 2-hour Mile 5 trip is the most popular trip with the longest season, early May to late September. Your adventure begins with a 10-minute float followed by grade 2 rapids. Grade 2 is big enough to get everyone who wants to get wet and provides a splashy thrill for all. The trip ends just around the corner at Old Fort Point. 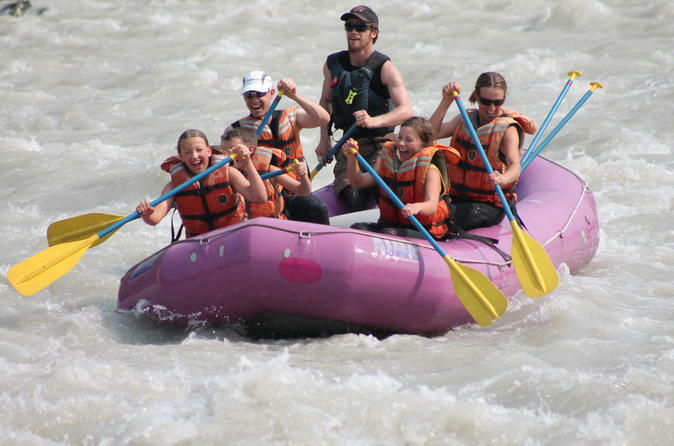 All trips are in 8 person-guided rafts and suitable for all ages. 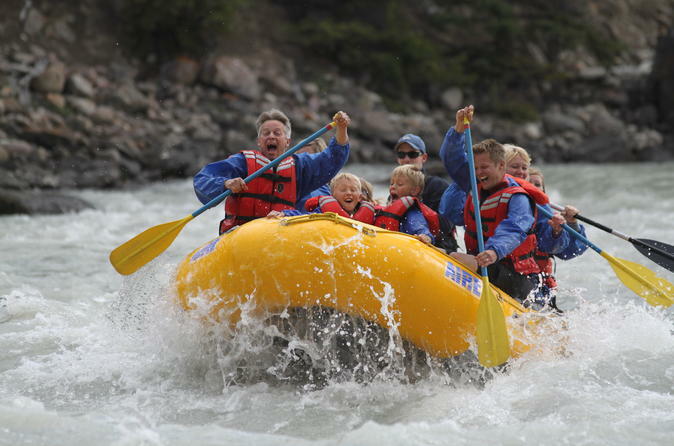 Starting at the base of Athabasca Falls and plunging through numerous rapids surrounded by high canyon walls, this Class 2+ whitewater adventure is ideal for tentative first timers and those looking for an exhilarating trip to suit the whole family. After the canyon stretch, the river opens out and rafters will enjoy sweeping views of the scenic Athabasca Valley providing the perfect balance of whitewater for an introductory level trip.